After we filled our tummies at Pelican Brewery, we were ready for an afternoon of sightseeing! 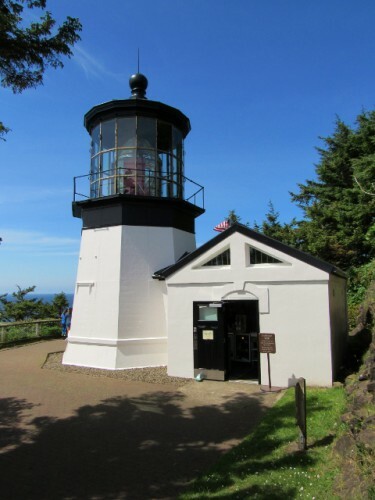 Next we headed to the Cape Meares Lighthouse. 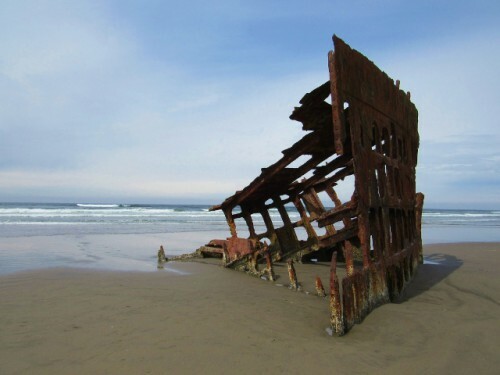 It was built in 1890, and has a first order Fresnel lens – it is 38 feet tall. 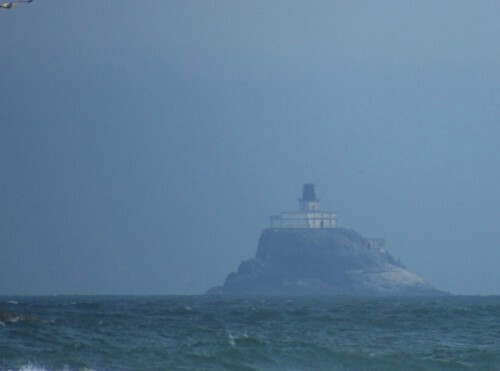 It is the shortest lighthouse in Oregon, and is constructed of bricks made on site, with iron plates covering them. 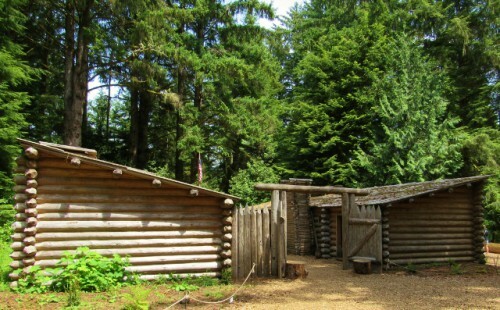 It originally had two keeper’s houses, which were connected to the light by a 1,000 foot boardwalk. The mechanism had to be wound every 2.5 hours! 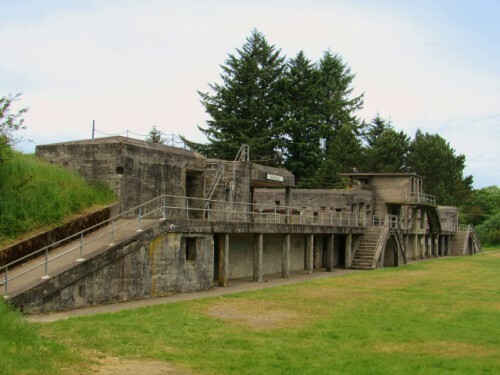 The oil houses were removed in 1934 when the light was electrified – it was deactivated in 1963. There was talk at the time of demolishing the light, but public outcry caused the light to be turned over to the county. Sadly, during the period when the light and its keeper’s houses were vacant, there was a significant amount of vandalism to both, and in the end, the houses had to be torn down. All four bull’s eyes in the Fresnel lens were stolen too – but three have since been recovered. The tower was opened to the public in 1980. Unfortunately, that didn’t stop the vandals. In January 2010, two drunk young men visited the lighthouse and took several potshots with a gun, breaking 15 of the lighthouse’s windows and significantly damaging the historic lens – damage to the lens is estimated to be more than $500,000 to repair. The good news is that the men were dumb enough to also fire at and damage the nearby Coast Guard Station, which made their offenses a federal crime. They were caught and convicted, and the judge gave them an interesting sentence. 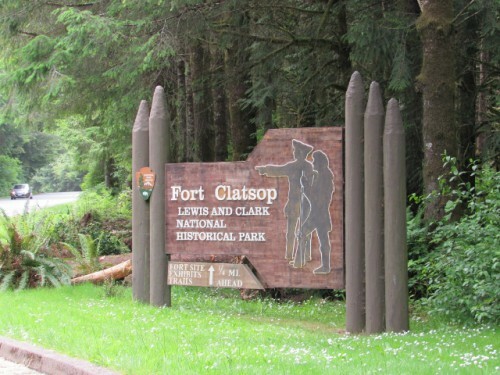 In addition to $100,000 in restitution, the men were sentenced to 48 days in jail, which were served 16 days per year for three years – coinciding each year with the date of the vandalism. We were able to tour the lighthouse, and see the damage to the lens. It breaks my heart when people don’t have respect for the historic treasures of this world. 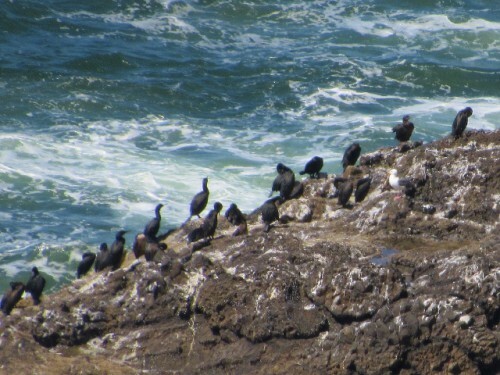 On a positive note, the tower of the light offers phenomenal views of the ocean and the nesting seabirds. After the lighthouse, we also checked out the Octopus Tree at the park. 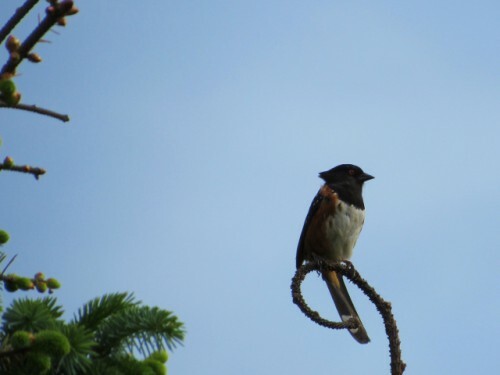 It has no central trunk, instead having multiple branches that extend outward for as many as 16 feet before heading skyward. No one really knows why it grows this way, but assume that the strange phenomenon was caused by people. 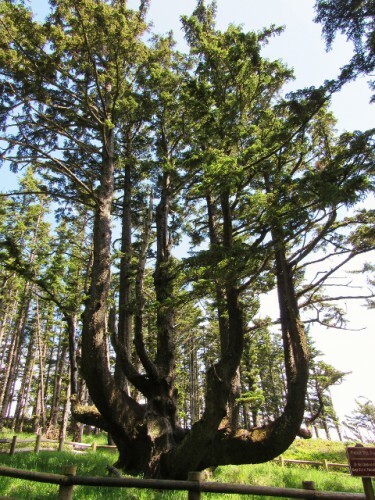 Native Americans consider it a sacred tree, but it is different than other Native American marker trees found throughout the United States, which are thought to be directional path markers. The tribes in the area say that it was shaped in order to hold a canoe with the body of a tribal member, as a part of their funeral service. However it was shaped in this unusual way, it sure is neat to look at! There’s a funny story about this place. I have long made it known that one of my favorite wineries is Chehalem Winery in the Willamette Valley – I have blogged about their wines numerous times. My girlfriend Allysa took a vacation down the Oregon Coast a few years ago and texted me one day saying that she was at Nehalem Bay Winery. I responded, “Have fun! Take pictures!” which she apparently thought was odd, since why would I want to see pictures of a place that I had visited often? 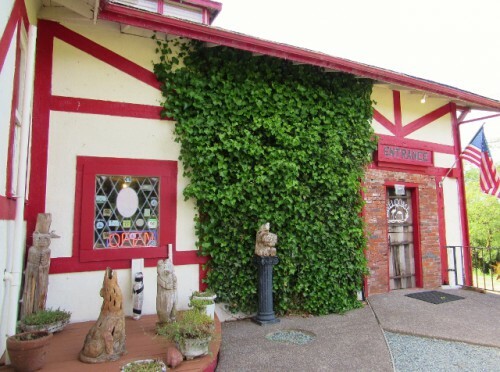 Well, once she got back she mentioned having visited “Camille’s favorite winery,” and in the conversation that followed it became clear that there was a mix-up between Nehalem and Chehalem – I can’t imagine why! I had to tell her that I had never been to Nehalem Bay Winery! 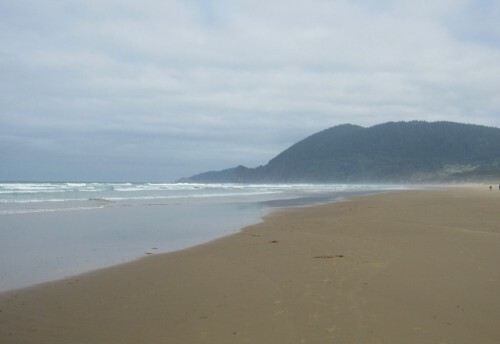 Since then it has become a running joke, and I can now tell her I have visited Nehalem Bay. 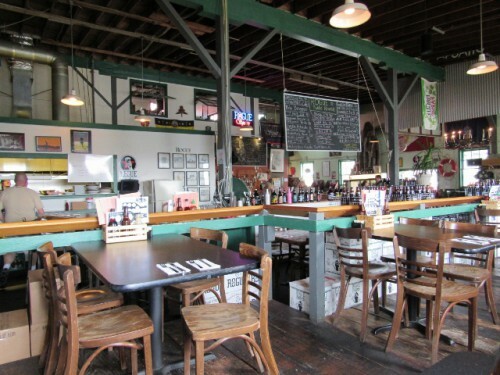 Nehalem Bay has a Bavarian style tasting room, and a line up of about a dozen grape wines and half a dozen fruit wines. They have been in business since the 70s. I really liked Nehalem Bay’s fruit wines, but I thought their grape wines were just ok. I got to try a new grape too – Niagara – I didn’t like the wine at all! It was really sweet, which is a characteristic of the grape (after all it is predominantly used to make grape juice), but it had a very high alcohol smell too (some compare the smell to diesel fuel – but I didn’t get that from this wine). Jon enjoyed some of their reds though, so they really do have something for everyone. The owners served us, and they were warm and friendly. After our visit to Nehalem Bay, we headed back to camp for a spaghetti dinner, and of course, smores… Paired with a lovely Nehalem Bay Cranperé wine, a light, sweet blend of Cranberry wine and Riesling. The evening activity was a couple mile bike ride with my brother, sister in law and all the kids. We had a lot of fun riding down the 2 mile bike loop around the campground. We were also greeted with the most fabulous pink sunset – we missed seeing the sun go down but when I saw the pink in the sky I ran out to the beach with my camera in hand to catch the lingering light in the most gorgeous pink hues. It was one of the prettiest sunsets I have ever seen! 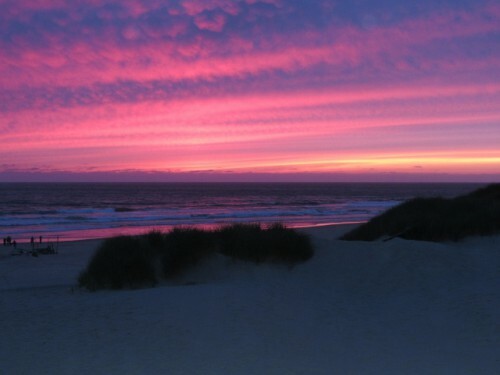 A stunning sunset at the Nehalem Bay Campground. 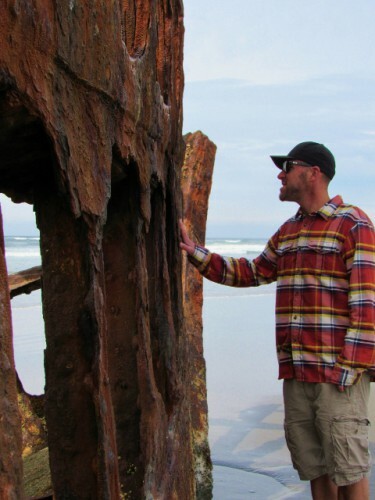 Have you ever camped on the northern Oregon Coast? What did you see and do? 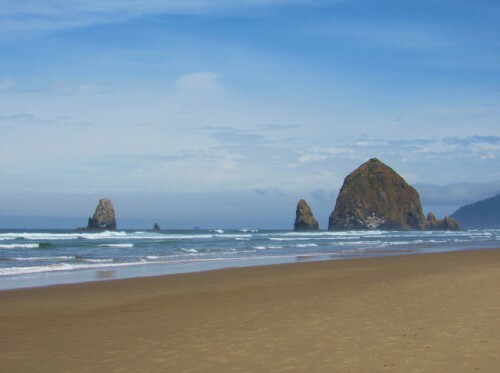 Oregon Coast 2015: Beer, Beach and Beer! At the end of May Jon and I had the good fortune of going on a weekend camping trip with my family on the Oregon Coast. It was my parents, my brother and sister in law, and my two nieces and nephew. What a fun time! Jon and I started our drive down in the early afternoon on Friday – he had to work until 1 pm. The traffic was absolutely terrible! What should be a two hour drive turned into four hours and 15 minutes along the notoriously crappy Puget Sound I-5 corridor – YUCK! 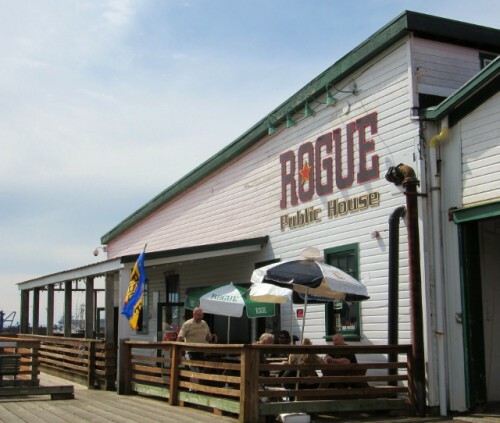 That meant that we rolled in late for a beer at the Fort George Brewing Company in Astoria, Oregon. 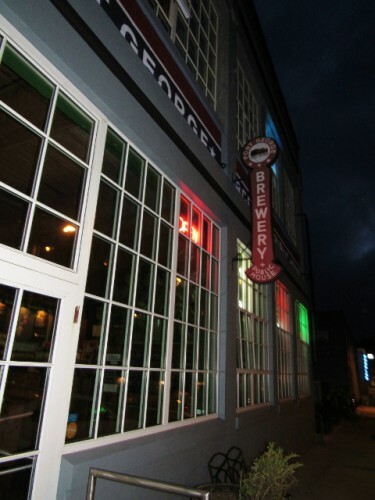 The Fort George Brewing Company is located at the original fort site in Astoria, from when it was founded in 1811. 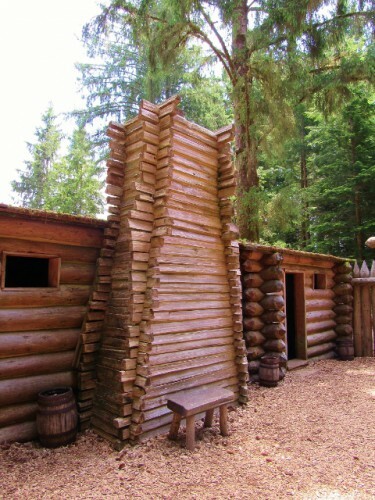 For years, it served as the primary fur trading post in the Northwest for the Pacific Fur Company. Obviously, the current building wasn’t there then; the current building was built in 1924 and was originally a service station. I love when companies re-purpose old buildings and preserve the history! Jon ate dinner at the brewery, but I had succumbed to hunger hours before and had a fast food dinner on the road. 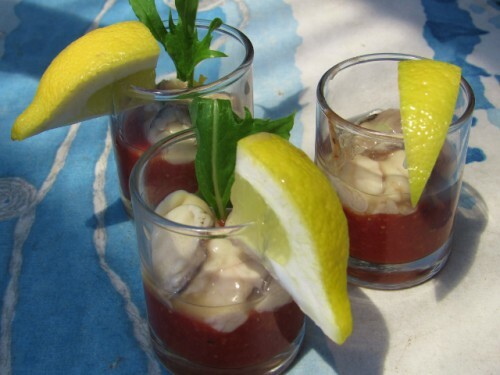 I still had dessert though – in the form of two Willapa Bay oyster shooters – Delicious! I had the Divinity – a Belgian style wheat beer made with berries – and Jon had two; the 3-Way IPA and the Cavatica Stout. We both enjoyed our beers very much, but we couldn’t linger too long as we still had over an hour of driving in the dark, before we finally reached the campground. Thankfully, my Dad had set up our tent for us, so all we had to do was arrange our sleeping pads and bags, brush our teeth, and snuggle into bed. 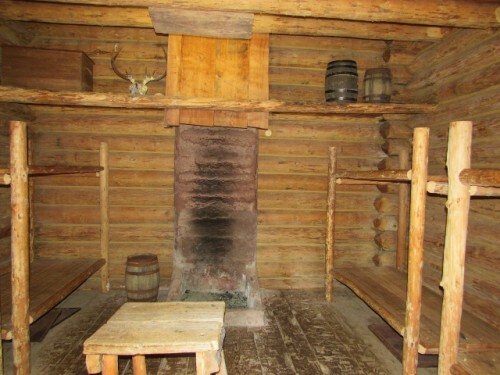 Where I promptly froze half to death all night, while watching Jon sleep peacefully next to me. That man can sleep through anything! The cold night reaffirmed why I’m not a “camper,” because of course, being cold and not sleeping just meant that I lay there thinking about how I needed to go to the bathroom, and then I had to get out of the sleeping bag, get out of the tent, put shoes on, find a flashlight, walk to the bathroom, and go back and repeat the whole process in reverse. Can anybody else relate? How does this beat a hotel? After a very early morning, vegging out like a zombie with a mug of hot coffee for a while, the morning was spent beach combing with the kids. 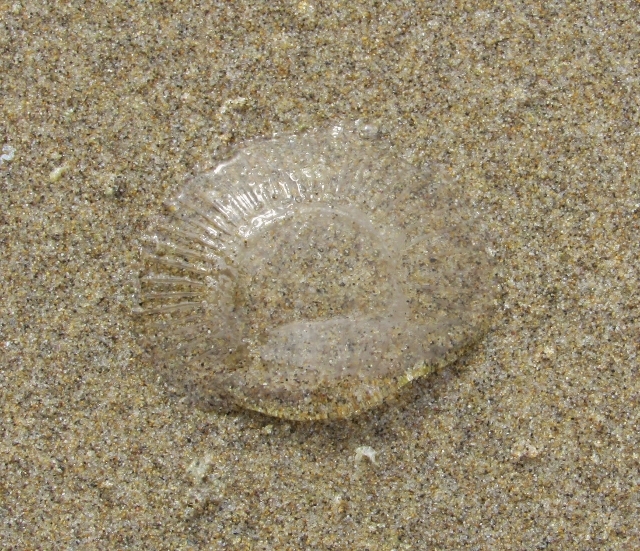 We found and picked up a million broken sand dollars and mussel shells, and saw a bunch of these little jelly blobs that looked like the bottom of a soda bottle. Like they had been molded. I still don’t know what they were. My nephew took a face plant in the water and decided that digging in the sand above the waterline was a much more fun option. 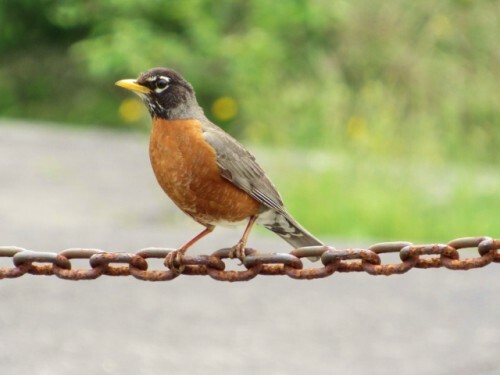 I can’t blame him – it was a pretty cold morning! The strangest molded jellyfish! Anybody know what this is? There were dozens of them. 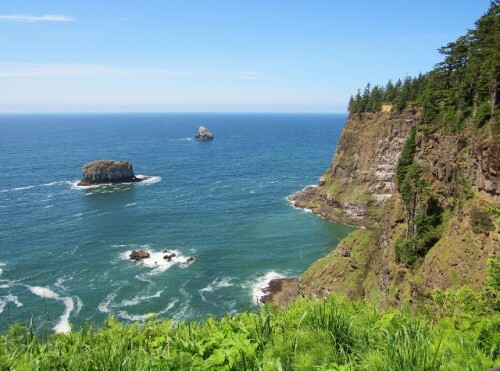 Shortly before lunch, Jon and I headed out to explore some of the Oregon coast sights. 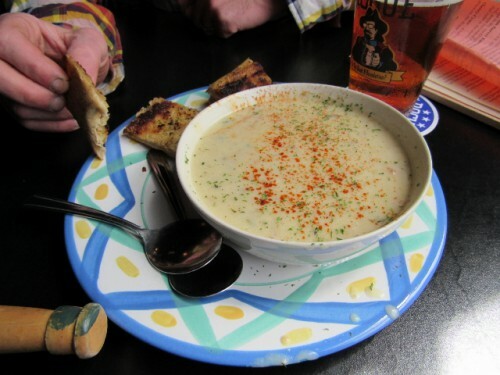 We started out with two Netarts oyster shooters each, and we both had elk burgers for lunch at Pelican Brewery – mine was topped with feta – YUM! 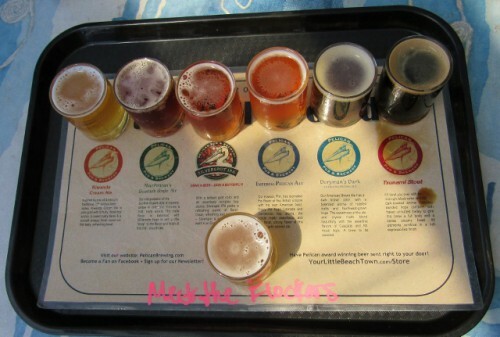 I had the beer sampler, with six of their regular selections, and my choice of a seventh beer. I chose the “Meet the Flockers” wheat beer. 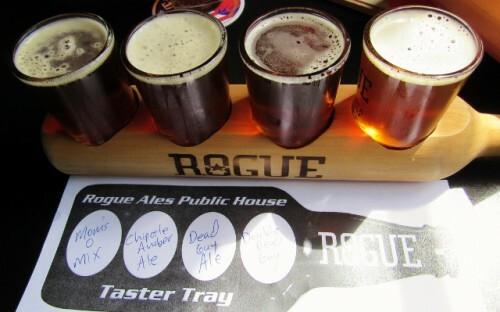 Beer Sampler – so many choices! I enjoyed all of them, but my favorites were the Scottish Style Ale and the Brown Ale. Jon enjoyed the Imperial IPA. 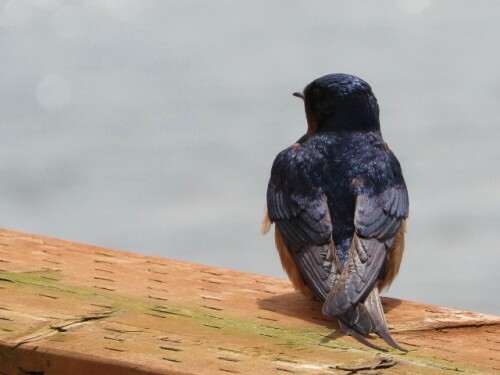 We sat out on the patio, where the weather had warmed from the morning, and I just let the heat sink into my cold, tired bones (don’t I sound like I’m 80!). 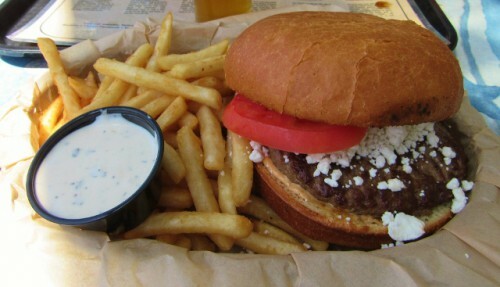 My Elk Burger at Pelican Brewery – simple and delicious! All in all, a great morning of relaxing. But we weren’t done for the day!